Anyone have a hunch or real-world evidence that any particular GPU is less stable for Artemis than another? I know that Artemis certainly doesn't need a massive GPU, and I'm wondering if some of the more modern GPUs are problematic, unoptimized for the current graphic engine. I'm going to run some stability tests on my server, comparing nVidia and on-board Intel at least, while prepping for our upcoming 2 conventions and private event. Hello, after a weekend of playing Artemis on LARP, i experienced multiple tests with the intel integrated video and Nvidia. Integrated video is a little bit more stable but it stuttering a lot when more than 5 ship are near from our ship. Nvidia GC cause many crashes of the server. During the WE any of the station computer crashed : only the server. I can't give more information : no error messages were displayed. Furthermore, since 2 weeks, i experienced many crashes from the server computer wich run Artemis. (Ours computers are clean, and only used for Artemis). I suspect the Windows update and the Nvidia driver's update (because before these updates there were not many crash). What about your stability test? I completely wiped my Dell Inspiron (as in literally installed a blank SSD and reloaded Windows 10 from Microsoft's own download), and loaded NO 3rd party software--not even nVidia's official drivers; only what Windows 10 downloaded. System will now run in test mode for literally hours (6+) with no problems. The next test is tomorrow, as I stage our entire bridge in preparation for a convention next week! we are starting our Saturday session, I'll keep you informed. I've been running my freshly-loaded and updated server with Artemis Bridge Tools installed, nVidia 1050Ti GPU, and it's run quite a few hours without incident, so far as Solo style missions are concerned. I have not run any scripts yet. That later this week. In multiplayer with TSN Sandbox mission or Sandbox 5a, the server run one or two hour max before it crashed. We'll test a new today with a LARP session of 6 hours. 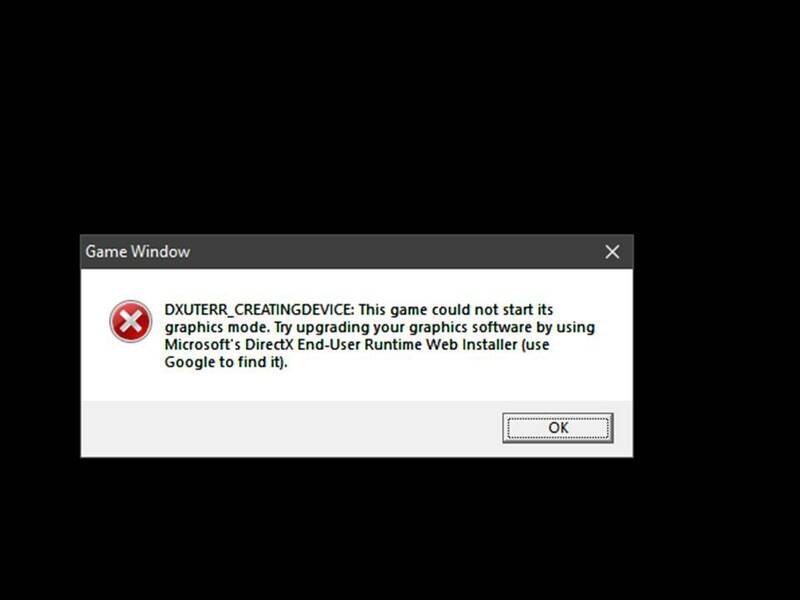 Below it the first error message i got (after one hour of "calm" play).